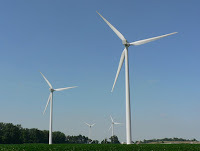 Five years after Ohio’s renewable energy standard took effect – and a few months before it will be challenged again in the state legislature – an economist with the state’s utility regulator tried to assess how the law was working out. More specifically, his study concludes that the addition of renewable sources of power is modestly pushing down the wholesale cost of power in the state, while also reducing the amount of carbon dioxide produced. The important phrase here is “wholesale price.” The wholesale price is what utilities pay for power, whether that power is generated by coal, natural gas, nuclear fission or the wind or sun. The wholesale cost of power accounts for, very roughly, about two-thirds of a customer’s bill, said Benedict, the report’s author and an economist for the Public Utilities Commission of Ohio. The remainder of the bill, which likely would not be affected by the addition of renewables, reflects administration, capital investment and other costs. 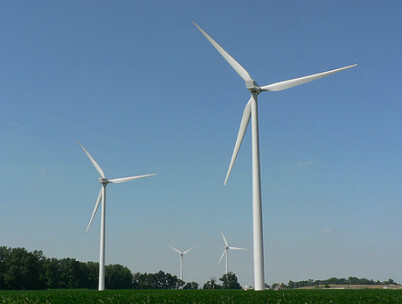 Ohio state Sen. Bill Seitz, who plans to introduce legislation to weaken the renewable standard in the next session, criticized the study for failing to take into account all of the non-fuel costs involved in delivering electricity to customers. When asked, however, about the study’s finding a slight reduction in the wholesale cost of fuel, Seitz conceded that there might be a “very modest” benefit for customers. Seitz said he’s concerned that the integration of variable energy sources, such as wind and solar, erodes the efficiency of fossil-fuel powered plants by requiring them to cycle up and down more frequently. Benedict agreed that the vacillating demands on coal- and gas-fired plants do tend to decrease their efficiency, but not to a significant degree given the small amount of renewable power used in Ohio at this point. There is evidence elsewhere that the introduction of renewable sources pushes down the wholesale price of power. A study done earlier this year by the Illinois Power Agency found that the integration of renewable-sourced power in 2011 reduced the fuel cost component of the typical residential customer’s bill by between 0.1 percent and 1.2 percent. In Minnesota, most utilities have reported little to no rate impact from that state’s renewable energy standard, and Michigan’s largest utilities have recently eliminated a surcharge intended to pay for the costs of new renewable sources. Studies of the price impact of energy efficiency have produced similar results, according to Stanfield of the NRDC. As demand decreases, due to more efficient use of power, the wholesale cost of each unit of power falls, she said. Although the upfront installation costs of wind and solar power are relatively high, those units then produce power practically for free, Benedict explained. The regional grid operator, who decides which power sources to tap to meet the demand at any given moment, always turns to the cheapest source first. And that’s almost always wind or solar, according to Benedict. These nearly-free sources end up displacing sources at the costly end of the continuum, meaning that the overall cost of power is reduced. In his study, Benedict found that the introduction of renewables has produced other benefits. His analysis found that in Ohio, the currently-operating renewable generators are reducing carbon dioxide emissions by 0.17 percent. When facilities now under development are included, the reduction is about 0.5 percent. Benedict also said that while solar and wind resources can put a strain on transmission systems, he found little evidence that this is a problem in Ohio.